Far East Broadcasting Company (FEBC) seeks to make Jesus known among the least reached people of the world by sharing the Good News through various media methods. They broadcast in 113 languages in 49 countries from 149 stations and transmitters (and counting!). 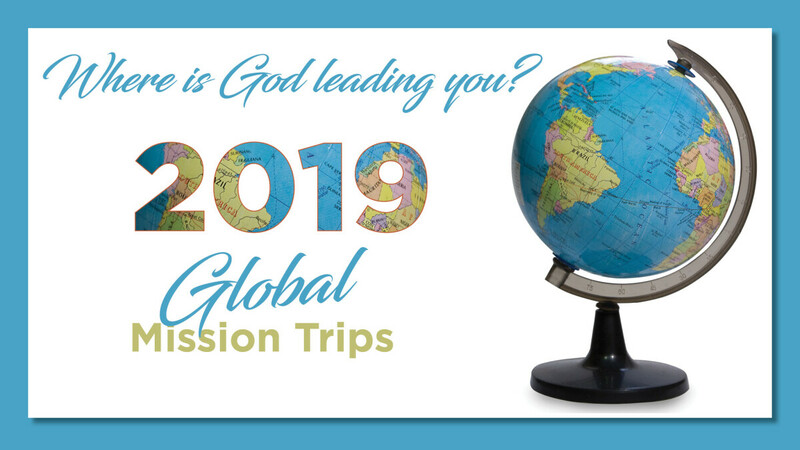 On this vision trip we will have the opportunity to experience how God is working through FEBC in two regions. We will first visit FEBC’s ministry in St. Petersburg, Russia then travel to Kiev, Ukraine, visiting multiple stations and hearing stories of hope amidst the darkness. Contact Kelsi McCormack if interested. The Micah Project is doing amazing work in the Honduran city of Tegucigalpa when it comes to ministering to children who live on the street. Micah not only shows you what these children face but inserts you directly into the community. If you want to see the love of Christ, see the beauty that is Honduras, and grow in community with other young adults, come with us to visit this amazing mission partner. Contact Trevor Harris at or Kelsi McCormack at if interested. Free Wheelchair Mission (FWM) provides wheelchairs to places around the world where the impoverished disabled do not have access to mobility. In addition, FWM ministers to each recipient and shares the good news of Christ’s call - that we are free in Him! On this trip you will have the opportunity to serve on a wheelchair distribution team and witness as lives are transformed by providing dignity, independence, and hope through the gift of mobility. Additionally, since the FWM distributor we will visit is with the Antioch Partners you will have the privilege of seeing two of our beloved ministries in action! Contact Kelsi McCormack if interested. Living Water International exists to demonstrate the love of God by helping communities acquire desperately needed clean water, and to experience "living water"—the gospel of Jesus Christ—which alone satisfies the deepest thirst. On a Living Water Trip, you’ll witness the transformational power of water firsthand as you drill a water well, teach sanitation and hygiene lessons, and share God’s love with the community. The work you do on this trip will impact the community you visit forever! Contact Kelsi McCormack if interested.